Naturally extracted from castor seeds (Ricinus Communis), Castor oil is rich in vitamins, minerals, and fatty acid proteins. In addition to antibacterial properties, Castor oil is very effective in promoting growth for thicker, stronger hair. 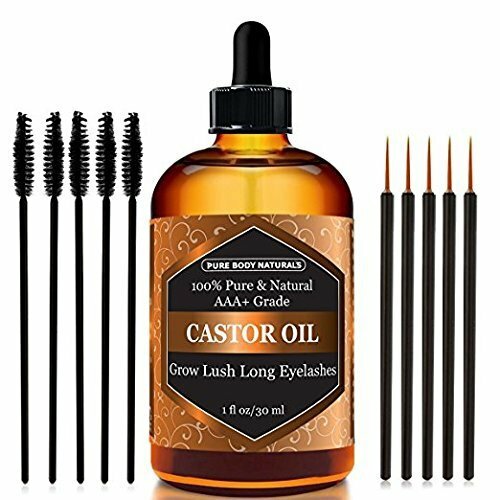 Castor oil is perfect for thin or thinning eyebrows. Encourage thicker brows and longer lashes by treating your hair with the very best of Castor oil.